DUSHANBE, February 5. /TASS/. 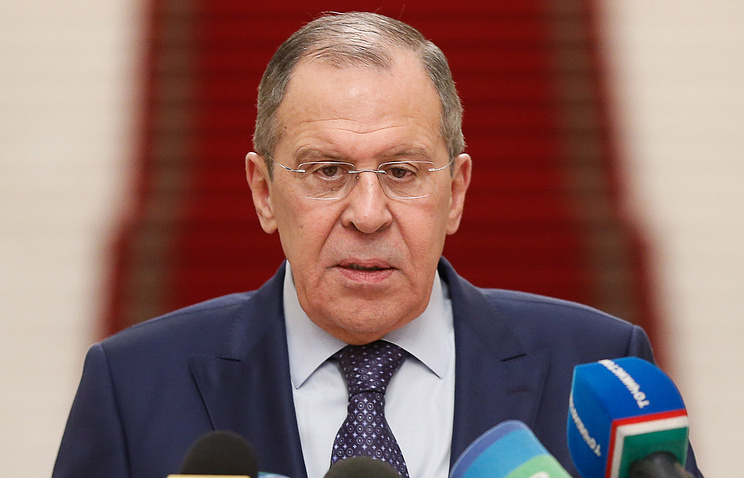 The policy of establishing the so-called Orthodox Church of Ukraine violates the precepts of state non-interference in ecclesiastical life as well as the canons of Orthodox Christianity, Russian Foreign Minister Sergey Lavrov said at the Russian-Tajik Slavonic University on Tuesday. "The decision was totally illegitimate by all canons - both by the canons of state non-interference in ecclesiastical life and the canons of Orthodox Christianity itself, because the 1686 decision on transferring that church under the Moscow Patriarchate’s auspices made in Constantinople is irrevocable. All you have to do is read it," the minister emphasized. "I believe that this travesty of history, and pursuing the objective of sowing discord between Russia and Ukraine in addition to preventing our peoples from being friends are essentially a crime [by the current Ukrainian regime] against their citizens," he stressed. Ukraine’s current leadership has sought to create a local Orthodox church independent of the Moscow Patriarchate in the country since it came to power after the violent 2014 coup. Last April, Ukrainian President Pyotr Poroshenko sent a letter to Patriarch Bartholomew of Constantinople requesting autocephaly for the Ukrainian church. The Poroshenko regime cobbled together a "unification council" that was held in Kiev on December 15, which announced the creation of a new church - the so-called Orthodox Church of Ukraine. The Tomos of Autocephaly (a clerical decree on establishing an independent church) was handed over to its head, Metropolitan Epiphany, on January 6. Both the canonical Ukrainian Orthodox Church and the Russian Orthodox Church consider the newly-established ecclesiastical institution to be schismatic. Other Local Churches either condemned Constantinople’s actions or chose ostentatious silence. None of them congratulated Epiphany on receiving the Tomos of Autocephaly.